Welp just found out my truck is not Summit White even though it was advertised as summit white at the dealership and the guy even gave me touch up paint for summit white. Apparently I have White Diamond Pearl according to my painter and the code in the glove box. Good thing i didnt go ahead and do touch up work on it yet. I got U3 plus 5202 led bulbs. A friend of mine had these for a while and they are pretty good. Can give a following update on these in the later months. 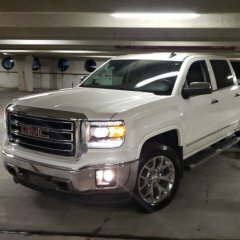 Here is my 2015 Sierra 1500 SLT i just picked up a little over a week ago. Already debadged the truck and will soon get the chrome to color match in summit or black. Custom summit white tow mirrors are in the works as well. 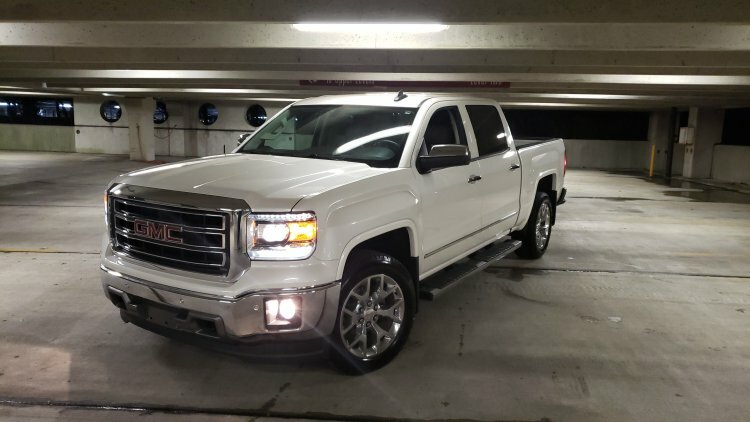 I don't think I will ever get another color Sierra since this summit white looks beautiful.